Growing up I was always that kid that absolutely REFUSED to eat my vegetables. I remember sitting at the kitchen table for hours while my mom forced me to have at least one bite of spinach. My parents tried everything! They covered the veggies with sauce or cheese, they tried to spruce them up to make them more interesting to me, but I was a very stubborn child. I was set in my ways and refused to learn to like vegetables. It’s ironic that now as an adult (or a larger child, as I often consider myself) I absolutely LOVE veggies! 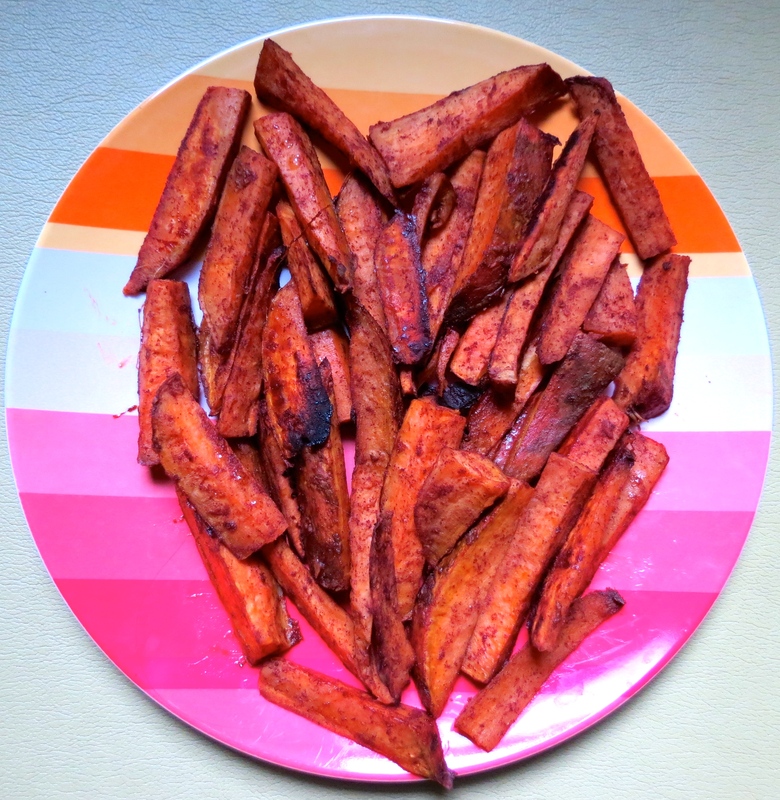 I try and have a vegetable component in almost every meal, and one of my favorites is the sweet potato! Sweet potatoes are actually one of my absolute favorite foods of all time. They are second in line behind my ever beloved oatmeal. They include many essential vitamins, including B6, C, D, and A! You basically cover all the important alphabetical vitamins in one serving of this fun vegetable! That’s another thing – they’re a vegetable that tastes like a dessert! What a serious win win.